Looking forward to playing the Beethoven Violin Concerto with the North London Sinfonia at the end of November. A Jig with a cadenza. I recorded a short “showpiece” that I composed for solo violin (with optional accompaniment). It started as a simple Jig inspired by a recent Newfoundland trip and has morphed into a more “classical” piece with the undertone of a jig. Solo Violin & Guitar accompaniment played by myself. I recorded a somewhat unorthodox version of Sarasate’s Caprice Basque, for Violin and a slightly jazzy Guitar accompaniment instead of the Piano. Both the Violin and the Guitar are played by myself. I composed and recorded a tone poem for Violin-Quartet, Bass and Piano. 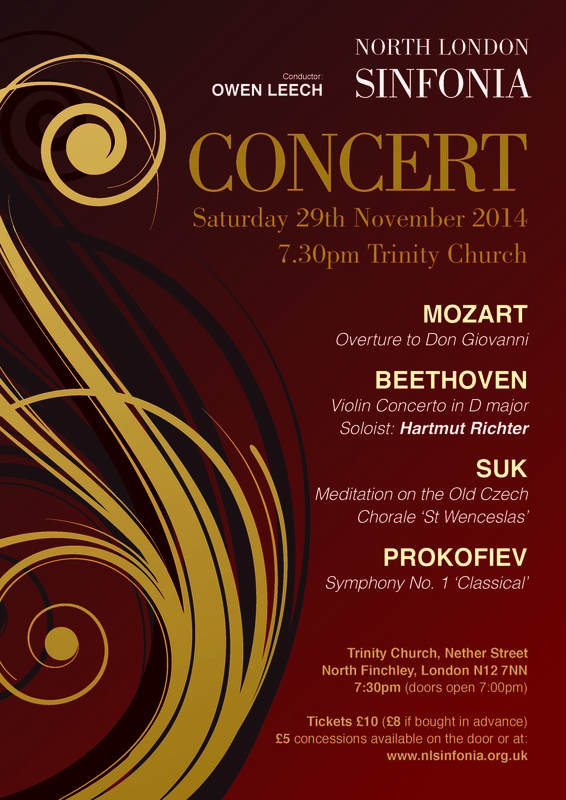 The piece begins with a simple, slightly melancholic melody line. Its haunting counterpoint comes back and is varied and slightly developed at the end after some “eerie and mysterious” adventures in exotic keys with a “Wagnerian” escape out of them. I “rediscovered” my old German violin that I had not played for years and – inspired by some baroque pieces – tuned it down quite a lot. With the lower pressure this 300 year old violin sounds much more open and full. It is very fun to play although a bit tricky to not choke the sound because of the loose strings. 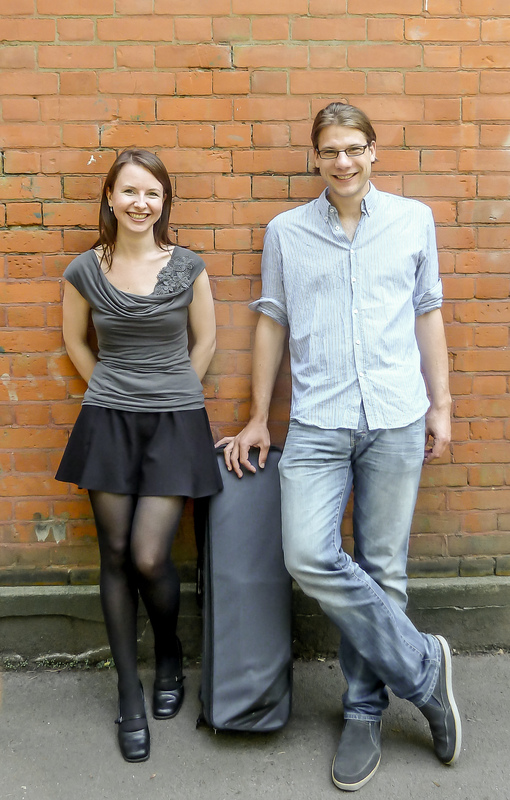 My pianist partner Tara Clifford will join me for a little recital at The Bossanyi Studio on Friday, 27 September 2013 at 8.30pm. It is a very relaxed venue and you can bring your own wine/beverage. Usually snacks are served afterwards, too! I decided to keep things more up to date and upload some recordings every now and then. To start off nicely I just recorded a great little organ piece which is also probably one of the most well known. It is the Toccata and Fugue by Johann Sebastian Bach, BWV 565. I rearranged the piece for violin solo but stayed very close to the organ version. The work is transposed to A-minor to make best use of the violin’s range and it works surprisingly well despite the polyphonic limitations of the violin. versions of course) has been recorded among others in slightly differing versions by Maxim Vengerov, Andrew Manze and I have seen live videos by Sergej Krylov who I am a big fan of. There seem to be a couple of versions out there that are possibly obtainable somewhere but I decided to write my own edition although I was obviously inspired by the above recordings. Anyway, have a listen, I hope you enjoy it. Also, here is slightly more in depth information about the Toccata and Fugue. 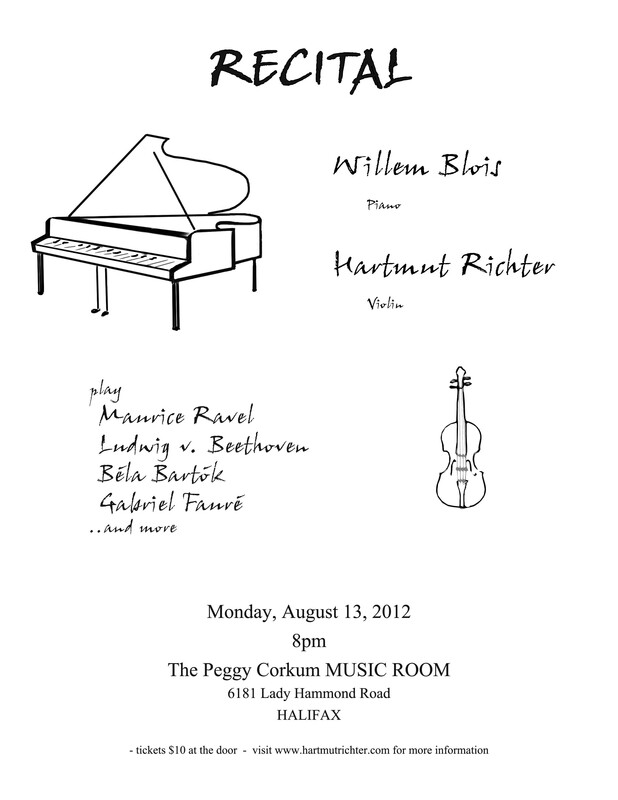 Come to the Peggy Corkum Music Room in Halifax on Monday, August 13, 2012 for an exciting evening of Piano & Violin music. 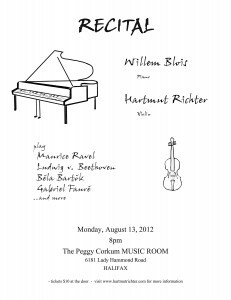 Pianist Willem Blois will join me to perform works by Beethoven, Ravel, Fauré, Bartok and more. Tickets are $10 at the door. The show starts at 8pm. German version will be added soon as well as some other tweaks and additional content.